Scam Alert For Beane Family Members! John Page was my 9x Great-Grandfather. And who, might you ask, was John Page? ""Colonel John Page (December 26, 1628 - January 23, 1692), a merchant in Middle Plantation on the Virginia Peninsula, was a member of the Virginia House of Burgesses and the Council of the Virginia Colony. A wealthy landowner, Page donated land and funds for the first brick Bruton Parish Church. Col. Page was a prime force behind the small community gaining the site of the new College of William & Mary, founded in 1693, as well as a chief proponent of the village being designated the colony's capital in 1698. These events resulted in the renaming of Middle Plantation as Williamsburg in 1699, perhaps most well known as the birthplace of democratic governmental principals among the patriots before and during the American Revolution. In the early 21st century, Colonel Page's tiny Middle Plantation is the modern home of the restored colonial city now known as Colonial Williamsburg, one of the most popular tourism destinations in the world. Bruton Parish Church, Williamsburg, Virginia. Original church built 1683 on land donated by Colonel John Page. The shaft commemorating Col. Page is at right of the church door. According to the Genealogy of the Page Family in Virginia, published in 1883, "John Page, son of Thomas Page (b. 1597), of Sudbury, County Middlesex, England, seventh son of Richard Page, second son of John Page (b. 1528), first of Henry Page (b. 1500), of Wembley, County Middlesex, England, all of the Parish of Harrow, was born at Sudbury in A.D. 1627. He immigrated to America about 1650 at about 23 years of age, and became the progenitor of the Page-family in Virginia." John Page's niece Mary Whaley (daughter of his brother Matthew and wife of James Whaley of Bruton Parish, York County, Virginia) is buried in the churchyard. 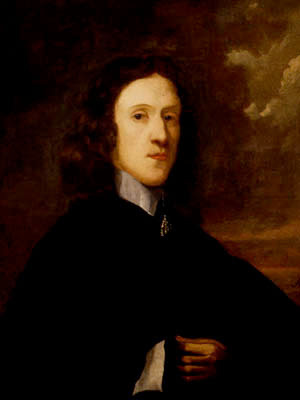 John Page became a merchant, and emigrated to the Virginia colony; his sister Elizabeth (wife of Edward Digges) and brother Matthew also emigrated to Virginia. In about 1656, John Page married Alice Lukin, (1625-1698) perhaps the daughter of Edward Lukin, a Virginia Company shareholder. The Pages originally lived in the New Towne section at Jamestown. The Pages settled in York County in 1655. In 1662, the Pages had a large brick cross-plan house built in nearby Middle Plantation. A wealthy landowner, Page owned 330 acres (1.3 km²) in Middle Plantation, including much of what is now Duke of Gloucester Street, Nicholson Street, and part of Francis Street in the restored area of Colonial Williamsburg. In 1672, Page patented 3600 acres (15 km²) in New Kent County which became Mehixton Plantation. He donated land and £20 for the first brick Bruton Parish Church which was completed in 1683, and was located immediately adjacent to the site of the present larger restored structure. In 1683, he came into possession of a tract of land which originally belonged to his brother Matthew in James City County known as Neck of Land. It is also known that he owned property at Jamestown in New Towne section. John Page was a member of the Virginia House of Burgesses starting in 1665. He played a pivotal role in supporting the efforts of Reverend Doctor James Blair in the founding of the College of William & Mary in 1693, which was located at Middle Plantation. Beginning in 1677, he is believed to have been an early advocate for moving the capitol to Middle Plantation, which eventually occurred in 1699, seven years after his death. (Middle Plantation was renamed Williamsburg in honor of King William III shortly thereafter). Colonel John Page and his wife Alice Lukin Page are buried at Bruton Parish Church in Williamsburg, Virginia. Their tombstone, originally located within the church graveyard, was later moved to the church vestibule. It reads: "Here lieth in hope of a joyfull resurrection the Body of Colonel JOHN PAGE of Bruton Parish, Esquire. One of their Majesties Council in the Dominion of Virginia. Who departed this life the 23 of January in the year of our Lord 1691/2 Aged 65" The tombstone carries the arms of Page impaling those of Lukin. The Page family was one of the First Families of Virginia, which later included Mann Page III, his brother U.S. Congressman and Virginia Governor John Page, and later descendants such as U.S. Ambassador to Italy Thomas Nelson Page, and Virginian Railway builder William Nelson Page. Colonel and Mrs. John Page named their eldest son Francis, and he also built a substantial brick home at Middle Plantation. (Present-day Francis Street in Williamsburg is said to be named for him). 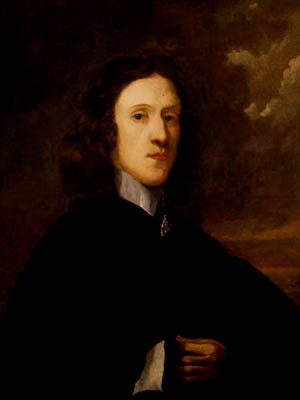 Another son, Matthew Page, was born in Virginia in 1659 and became a planter. He was one of the original board of trustees of the College of William and Mary, a member of the Governor's Council, and was active in public affairs. He died on January 9, 1703. Their grandson, Mann Page I (1691-1730) (son of Matthew Page), also became a planter and wealthy landholder in Virginia, owning nearly 70,000 acres (280 km²) in Frederick County, Prince William County, and Spotsylvania County among other locations. In 1725, Mann Page I began the construction of Rosewell Plantation, the Page mansion on the banks of the York River in Gloucester County. Mann Page I's wife Judith Carter was the daughter of Robert Carter I. Mann Page I son John Page married Jane Byrd, a granddaughter of Colonel William Byrd I. One of John Page's great-grandsons was Confederate General Richard Lucian Page. Mary Page, the daughter of Col. John Page, married Walter Chiles Jr., son of Col. Walter Chiles of the Virginia Governor's Council. In his will of March 5, 1687, Col. John Page mentions his grandson John Chiles, as well as his "grandsonne John Tyler, sonne of my grand-daughter Elizabeth Tyler." Elizabeth Chiles had married Henry Tyler of Middle Plantation, and thus became the ancestress of President John Tyler. Because of the propensity of First Families of Virginia (FFV) to marry within their narrow social ranks for many generations, John Page is counted as a progenitor of many other FFV families. These include the families of Byrd, Chiles, Tyler, Pendleton, Burwell, Nelson, Randolph, Walker, Carter, Harrison, Waller and others. Several sites of the Page family in Virginia and West Virginia have historical and archaeological significance. The site of their property at Jamestown has been identified by the Jamestown Rediscovery project. Colonial Williamsburg has an extensive archeological study underway at the John Page home site at Middle Plantation (now Williamsburg). Col. John Page owned much of what is today's Williamsburg, including Duke of Gloucester, Nicholson and part of Francis Street. The ruins of Rosewell Plantation, the home of early members of the Page family and one of the finest mansions built in the colonies, sit on the northern bank of the York River in Gloucester County. In one of its rooms, which are all of cubic dimensions, Thomas Jefferson, a friend and the college classmate of John Page (Col. John Page's great, great grandson) is said to have drafted the U.S. Declaration of Independence. In 1916, a fire swept the mansion leaving a magnificent shell which is testament to 18th century craftsmanship and dreams, and the site ongoing archeological studies. The Page-Vawter House, a large Victorian mansion, was built in 1889 in Ansted, West Virginia on a knoll in the middle of town. Industrialist and mining manager William and Emma (née Gilham) Page raised their four children there, attended by a staff of 8 servants. In the 21st century, it still stands as evidence of the once-thriving coal business and was listed on the National Register of Historic Places in 1985. ^ "A Brief Guide to Bruton Parish Church"
^ In 1887 Henry Burke, the Somerset Herald of Arms in Ordinary, concluded that John Page was related to the Page family of Harrow on the Hill. ^ Dorman, John Frederick, Adventurers of Purse and Person, 4th ed., Vol. 2, pp494-495. Dorman states: "The longstanding identification of Alice Page ... as daughter of Edward Lukin has not been confirmed." After discussing the differences between the arms carved on the Page tomb, and the arms borne by known Lukin families, Dorman concludes: "There are other extant American gravestones engraved with arms differing from the actual arms of the individual, mistakes apparently having been made because the stone cutter referred to an armory or other collection of published arms when precise descriptions were not provided, or perhaps not even known, by the family of the deceased." ^ Hobbs, Tom. "Summer Hill: History of the Summer Hill Site". VirginiaDigs. Retrieved 2011-06-16. ^ Elizabeth (Chiles) Tyler was the great-great-grandmother of President John Tyler. ^ Muraca, David F. "The John Page Site:Excavation of a Major House Site on the Bruton Heights Property". Williamsburg: Colonial Williamsburg. Retrieved 2011-01-15. The John Page Site: Excavation of a Major House Site on the Bruton Heights Property by Colonial Williamsburg"
And so, just how does John Page fit into my ancestry? And so the descendants straight to me. I have been to Bruton Parish Church many times when I was younger, but was not appreciative of my ancestry then. And I hope to make a venture out again this summer, perhaps towards fall when the easterly winds begin to cool the temperature a bit, and visit the church once again. And to see the plaque that commemorates my 9x Great-Grandfather. Perhaps his is the siren that has always called me to Williamsburg and to Jamestown. Knowing how deeply my roots run in this country, makes me proud to call myself an American (as if I would ever say I wasn't proud! ), and so perhaps I should say, makes me prouder still to call myself an American! *****Did you guess where the place was in Those Places Thursday yesterday? It is the old Rehoboth Church, located in Keenan, Monroe County, West Virginia. It is the oldest church WEST of the Alleghany Divide. At the northwest corner of the church (at the back right hand corner) are buried my great-great-grandfather and great-great-grandmother, and his parents as well. Both he and his father fought in the American Revolution both in Pennsylvania and in North Carolina. And they were both elders in the church. The church is constructed of logs, as are the pews. There once were holes in the walls for rifles to shoot from, as when the church was first founded West Virginia was still wild Indian territory, and several skirmishes happened. These are my Wiseman ancestor's. I like to go and talk to them a few times every year. They are very good listeners.